Connell McLaughlin (right) was pledged £100,000 for his 'Route Reports' hazard detection system. Four innovative student start-ups secured life-changing investments worth a combined £200,000 in a Dragons’ Den style live pitching event at the University of Southampton. 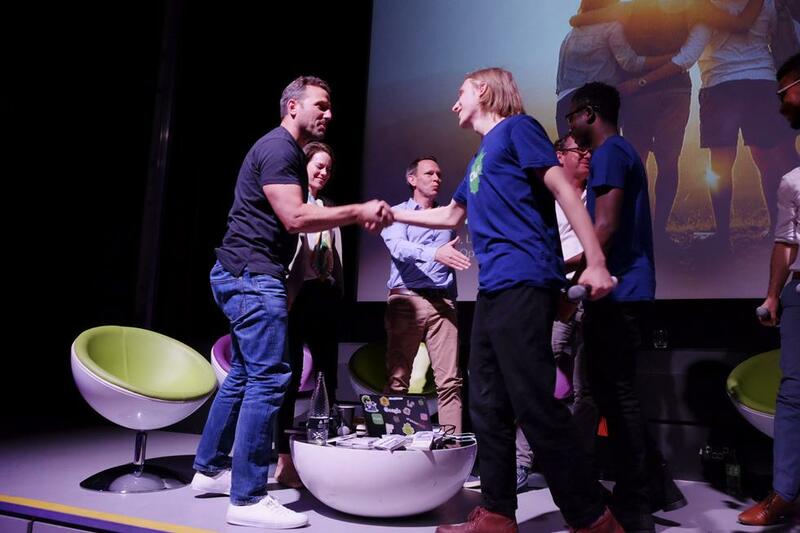 The student entrepreneurs pitched in front of four angel investors and a packed audience at the University of Southampton Students’ Union in the showcase hosted by the university’s Future Worlds start-up incubator on Saturday, 12th May. First year Aeronautics and Astronautics student Connell McLaughlin was pledged £100,000 by four investors – including a surprise last minute offer by phone – in a dramatic finale to a pitching event that was already breaking records for the on-campus incubator. 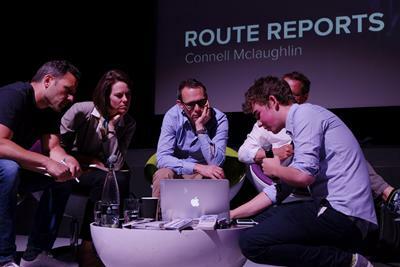 Connell has created Route Reports, an embedded sensor system and web-based dashboard that is detecting and reporting hazards like potholes and overhanging branches on public transport. Earlier, Aerospace Engineering student Boateng Opoku-Yeboah, Mechanical Engineering student Landon Vago-Hughes and Computer Science graduate Tunde Alao secured £50,000 for their Cluttr app, an all-in-one private social network and household solution that promises to help build harmony in shared homes. First year Computer Science students Kajetan Champlewski and Dan Trickey were offered £30,000 for their maths revision tool Questioneer, while fourth year medical student Laura Brunning was pledged £20,000 for her first aid training enterprise Hampshire First Aid. Dragon investors Chris Broad, Apple Director of Sales Contracting EMEIA, Andrew Doe, serial digital entrepreneur and founder of confetti.co.uk, Sonja Lami, angel investor and Insight Investment Fund Manager, and Nick Lawton, Chairman of the Lawton Communications Group, interrogated and negotiated on stage with student entrepreneurs from six student start-ups that had been selected ahead of dozens of entries to the Future Worlds competition. Fourth year Electronic Engineering student Dylan Grey showed great promise with his online gift service BOON, and Mathematical Studies and Actuarial Science students Louis Dykes and Yacob Siadatan pitched well for their business Airscape, but both start-ups were deemed too early for investment at this stage in their development. 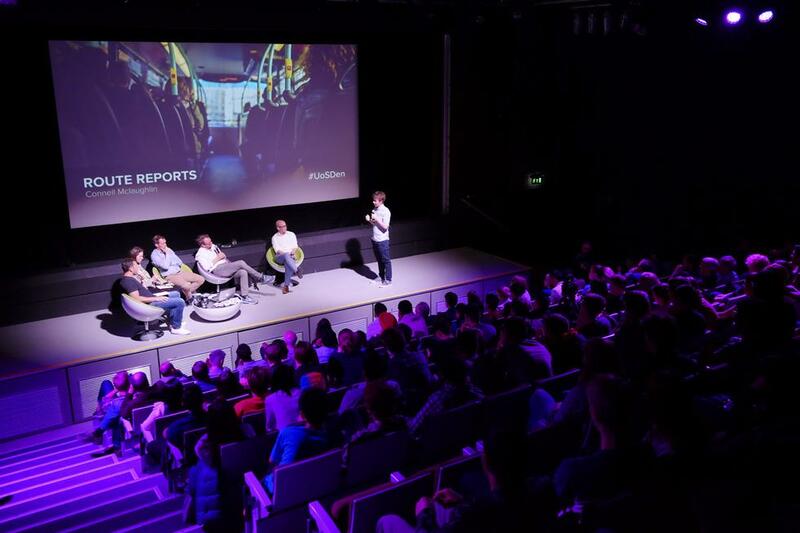 The pitching event is an annual showcase of a growing student enterprise culture at the University of Southampton and was supported this year by the Fish on Toast, Entrepreneurs Club and Enactus Southampton societies. 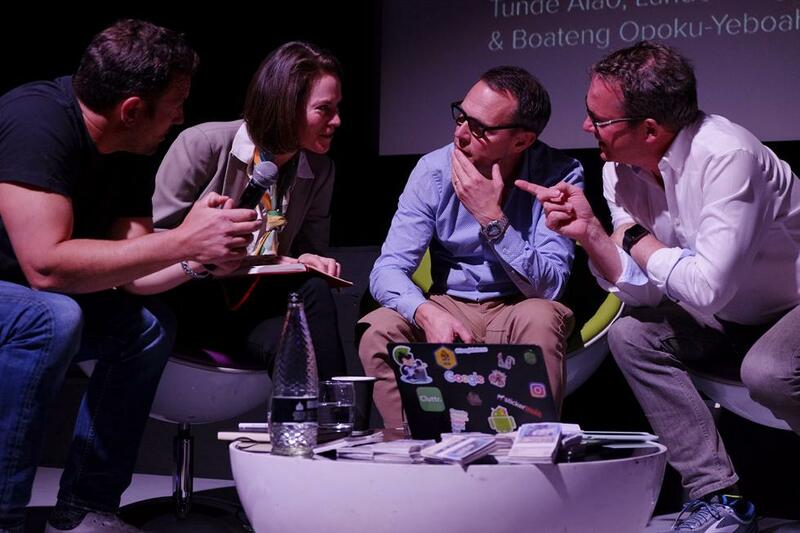 Four 'Dragon' investors interrogated and negotiated on stage with entrepreneurs from six student start-ups resulting in £200,000 in investments. 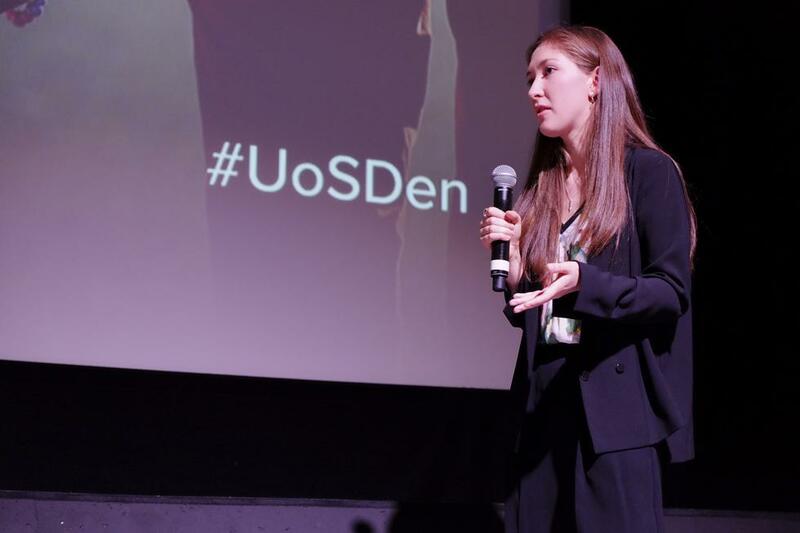 Student entrepreneurs pitched live in front of four angel investors and a packed audience at the University of Southampton Students’ Union in the showcase hosted by the university’s Future Worlds start-up incubator. The team pitching the Cluttr app secured £50,000 for their all-in-one private social network and household solution that helps build harmony in shared homes. Medical student Laura Brunning was pledged £20,000 for her first aid training enterprise Hampshire First Aid.